Los Angeles, CA (August 21, 2018) – It was announced today that Nicole Kidman and Per Saari’s Blossom Films, Bruna Papandrea’s Made Up Stories and Theresa Park will be collaborating with Cecelia Ahern and her Greenlight Go Productions label to produce a TV series based on Ahern’s upcoming book of short stories, ROAR. Liz Flahive and Carly Mensch (GLOW) are attached as executive producers and showrunners for the series, which is being developed in partnership with Endeavor Content. 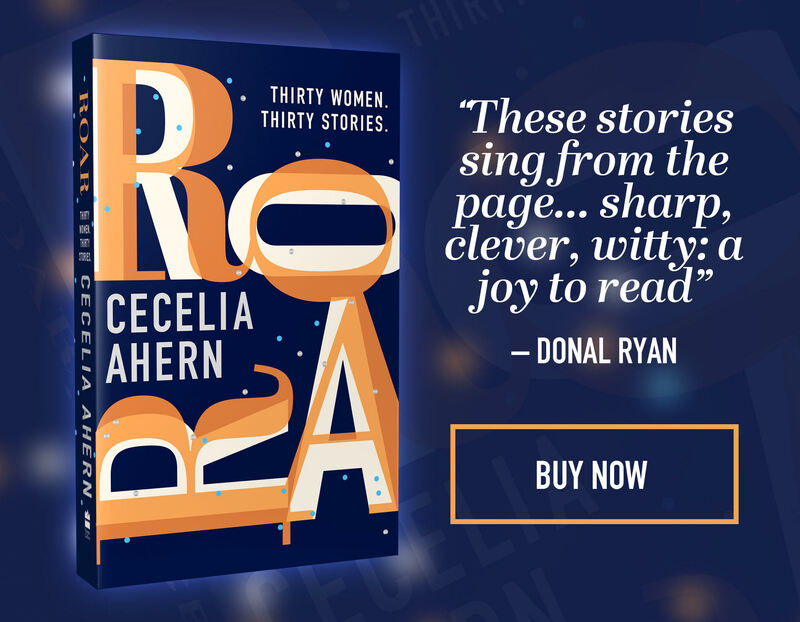 Set to be published in the UK in November 2018 (HarperCollins UK) and in the US in April 2019 (Grand Central Publishing), ROAR is a compilation of 30 insightful, moving and humorous short stories. Each story in the multifaceted collection features a woman exploring a different absurd contradiction or issue in her life – a sometimes comic, always moving look at the guilt, joys, humiliation and triumphs that define the modern woman’s experience, including the private moments when she feels the need to roar (“I Am Woman, Hear Me Roar” – Helen Reddy). Flahive and Mensch are the co-creators and showrunners of Netflix’s Emmy and Golden Globenominated series GLOW. They’ve previously written for ORANGE IS THE NEW BLACK, NURSE JACKIE and WEEDS. 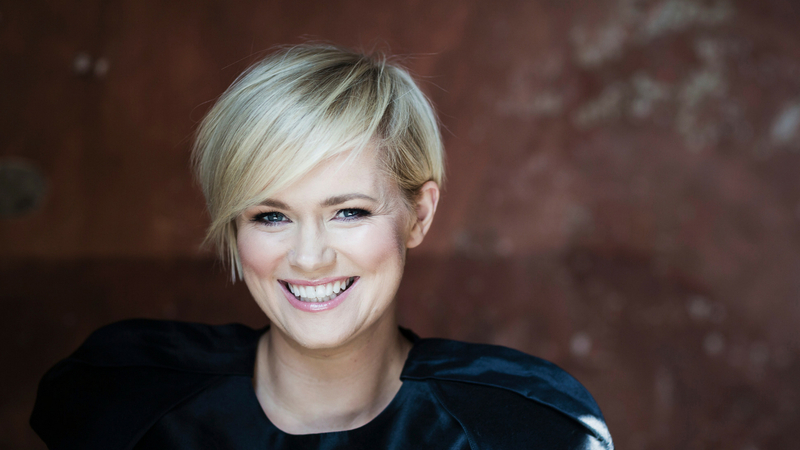 Bestselling novelist Cecelia Ahern is one of the biggest global phenomena to emerge in the past fifteen years. She is published around the world in nearly fifty countries and has sold twenty-five million copies of her novels. Two of her books have been adapted as films: P.S. I LOVE YOU and LOVE, ROSIE. Ahern also co-created and produced the TV series SAMANTHA WHO? Ahern is represented for TV and film by Anonymous Content and for publishing by Park Literary & Media. Blossom Films is represented by CAA and Alan Wertheimer at Jackoway Tyerman Wertheimer Austen Mandelbaum Morris & Klein; Made Up Stories is represented by WME; and Theresa Park is represented by Scott Schwimer, Esq. Blossom Films, created by Nicole Kidman and Per Saari, executive-produced the Emmy and Golden Globe-winning limited series BIG LITTLE LIES for HBO. In 2010, they produced the feature film RABBIT HOLE, which earned Nicole Kidman both Golden Globe and Academy Award nominations, as well as THE FAMILY FANG. Blossom Films is now filming the second season of BIG LITTLE LIES, directed by Andrea Arnold and is in pre-production on the television series adaptation of Janice Lee’s best-seller THE EXPATRIATES for Amazon Studios. Among Blossom’s development titles are an adaptation of the literary sleeper hit THE SILENT WIFE, an adaptation of best-seller RECONSTRUCTING AMELIA, and an adaptation of off-Broadway vampire hit CUDDLES. Blossom Films is also adapting Liane Moriarty’s latest novels NINE PERFECT STRANGERS and TRULY MADLY GUILTY. Blossom’s next project is David E. Kelley’s limited series THE UNDOING, which will go into production in 2019 for HBO and star Kidman. Made Up Stories is a development, production and finance company committed to creating content with compelling female figures squarely at the center and enabling female directors, writers, actors, and fellow producers to tell the stories they want to tell. Founded and run by Bruna Papandrea, the awardwinning producer of the HBO limited series “Big Little Lies” (8 Emmy Awards, 4 Golden Globe Awards, etc. ), and the feature films WILD, GONE GIRL” (over $365 million in worldwide box office), WARM BODIES and MILK, Made Up Stories produced in its first-year acclaimed filmmaker Jennifer Kent’s THE NIGHTINGALE, and rising filmmaker Abe Forsythe’s LITTLE MONSTERS (staring Lupita Nyong’o and Josh Gad). Additionally, upcoming on the television side, the company is currently in production on the TNT series, “Tell Me Your Secrets,” written by Harriet Warner and directed by Caméra d’Or winner Houda Benyamina, and Meaghan Oppenheimer’s “Queen America,” starring Catherine Zeta-Jones and directed by Alethea Jones, which received a 10-episode, straight-to-series order by Facebook’s new video platform, Facebook Watch. THERESA PARK is currently developing and executive producing THE EXPATRIATES, based on Janice Y.K. Lee’s bestselling novel, alongside Kidman and Saari. Park is also teaming with Cinereach to develop and produce a feature film adapted and directed by award-winner Kogonada (Columbus) based on the short story Saying Goodbye to Yang, by Alexander Weinstein, to which she acquired the rights. She was a producer on THE BEST OF ME (Relativity, 2014) and THE LONGEST RIDE (Fox 2000, 2015), and executive produced DELIVERANCE CREEK (Lifetime, 2014) before partnering with Peter Safran and Nicholas Sparks on THE CHOICE (Lionsgate, 2016). As the founder of Park Literary & Media, a full-service literary agency in NYC with expertise in brand development and cross-platform promotion for authors and content creators, she works extensively in the nexus between publishing and film / TV. On the book publishing side, PLM's clients include NYT best-selling authors Nicholas Sparks, Debbie Macomber, Emily Giffin, Janice Y.K. Lee, Taylor Jenkins Reid and Cecelia Ahern, among others. Endeavor Content specializes in financing, sales and advisory services for television series, documentaries, and feature films. Its primary goal is to empower artists and content creators by providing them with more ownership and creative freedom as they navigate the media landscape. Endeavor Content is a division of Endeavor (formerly WME | IMG), a global leader in sports, entertainment and fashion operating in more than 30 countries.